At least 10 people were shot Friday in front of the Empire State Building. The New York Police DepartmentÂ shot and killed the gunman. Authorities converged on the building around 9 a.m. after reports of gunfire. 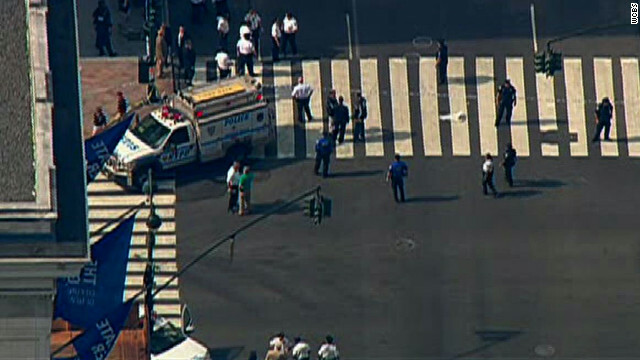 Since then, several streets around 5th Avenue and 34th Street in Manhattan are closed. New York resident Max Kaplan said he heard at least nine gunshots. He said several ambulances arrived at the scene.Â “We’re all very shaken up at the office,” he said. The Empire State Building is one of the most famous skyscrapers in the world, and a landmark building in New York’s skyline. Each year, the building is visited by approximately 4 million people. hmmm may they were planning to harm. This was an angry man, I am not condoning what happened but this is certainly the repurcussions of the (ADEA) — firing a 58 Old man, who might have not been collecting any unemployment benefits and probably has a mountain of bill problems. While as killling might not have been the best thing for him to do but I sure don't doubt that he had thought of suicide in the past. It could happen anywhere in the developing countries where economic hits really mean economic hits. In the meantime, the police randomly shot and 9 other people were injured, hmm! They just shot whoever I guess.